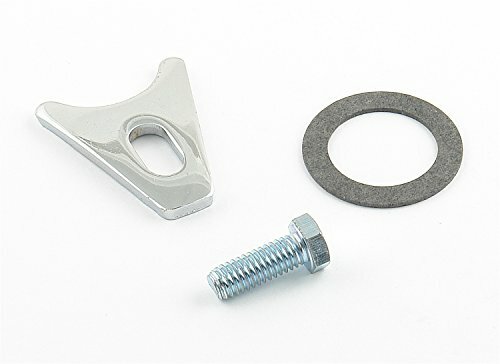 Mr. Gasket Chevrolet Distributor Hold-Down Clamp holds the distributor or magneto securely in place for accurate timing. This brightly chromed kit replaces stock wire clamps (1963 and later). Serrations on the bottom prevent distributor or magneto rotation. Includes bolt and gasket. This chromed hold-down clamp adds sparkle to the engine. MSD is excited to offer two ready-to-run distributors for two classic ford engines. These distributors are the answer to weak breaker points or rebuilt aftermarket models. Inside the billet housing there is a high-output ignition module. When the maintenance-free magnetic pick-up signals the module to fire, up to 7.5 A is sent to the coil where a powerful spark is created. This improved spark output results in quick starts, snappy throttle response and terrific drivability. The distributors are equipped with a vacuum advance canister for cruising economy. 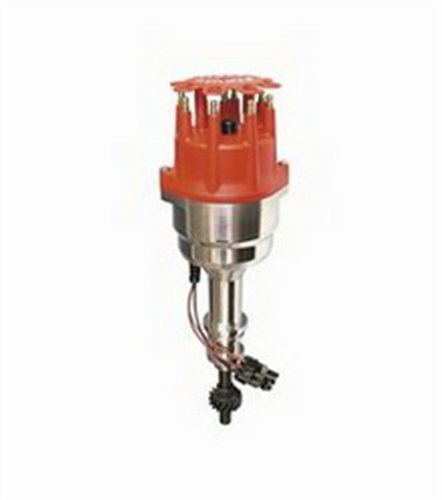 Plus, there is a mechanical advance assembly that is mounted on top of the distributor shaft making it easy to adjust the advance to meet your needs. Another great feature of the ready-to-run distributors is their simple installation. All you need to do is connect three wires and you'll be cruising. Introducing the street fire value-line brand of MSD ignition. Street fire components offer a quality designed alternative to the bottom bargain parts that are springing up all over. 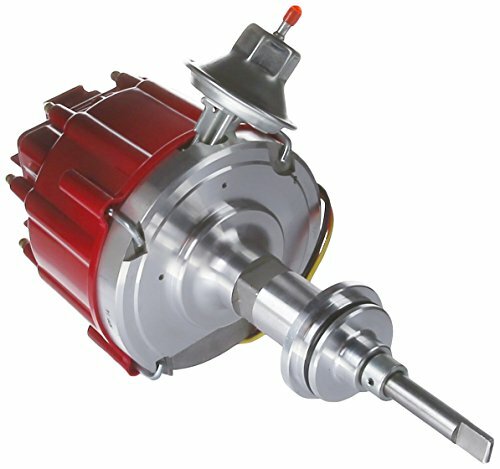 We'Re so assured with the quality of our new street fire HEI distributor that we provide a one year warranty with it. We know the importance of a centrifugal advance in a distributor so our engineers made sure that the street fire receive an advance assembly with coated weights and welded weight pins (not just pressed in like other models). Another area that you cannot afford to scrimp on is with a distributor gear. The street fire is fit with the same gear that is used on our pro-billet models. The metallurgy of this gear has been refined for years to perform through the harshest conditions. Inside, the ignition module and coil work together to produce a stout spark to light the fuel mixture for great performance. Performance Distributors for VW Type I Engines. Now you can get a quality distributor that delivers excellent performance and doesn t break the bank. We ve taken all the features that you like about the Bosch 009 distributor, and the performance capabilities of the 010 and 050 distributor and designed them into our Flame-Thrower mechanical advance distributor. The vacuum advance version also has a custom tailored advance curve to suit most applications. To top things off these distributors feature integrated Ignitor electronics for both 12 and 6 Volt negative ground systems. Warranty: Warranty: 30 months electronics / limited 1 year mechanical. Top Street Performance HEI distributors are a great addition to any engine. These units feature high output modules with low saturation coupled with a 65,000 volt coil for higher spark energy over stock distributors. 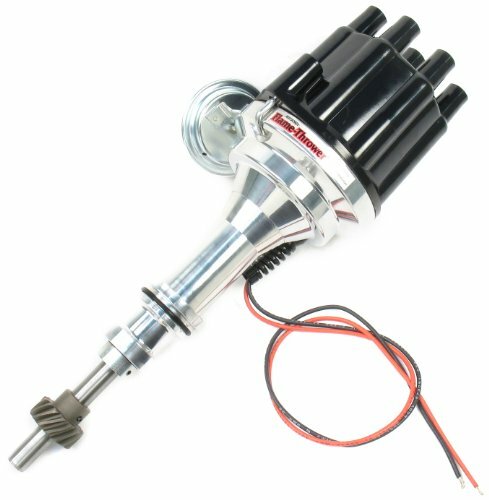 With higher spark output these distributors. Plug n Play billet distributors are designed for maximum ignition performance at a price you can afford. Our I3 billet distributors ship with the all NEW Ignitor III multi-spark rev limiting modules. Replace your outdated points, electronic distributor or bulky HEIs with this performance proven system. 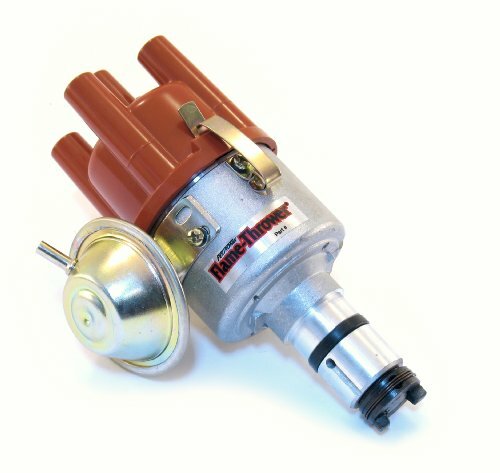 Simply install the distributor in the engine, connect two wires and start it up.For even more performance, consider adding one of our compatible Flame-Thrower III coils for increased spark energy and higher RPM potential. Available in Flame-Thrower III canister style coils as well as our New HC and HV E-core style coils. Performance Distributors for british engines. 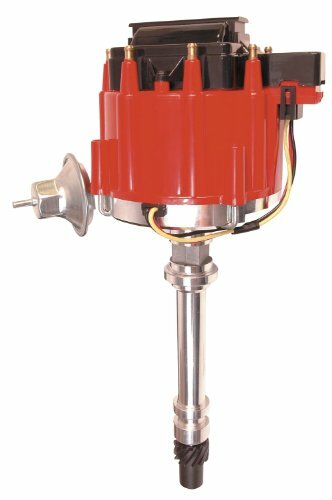 Replace your worn out Lucas 23D, 25D or 45D distributor with a distributor that will deliver the performance you demand. Our Flame-Thrower performance distributors use all new castings modeled after the original Lucas 45D distributor. Each distributor is then precision machined for an exact fit. Four cylinder applications are available with top or our new side exit caps. Plug n Play billet I2 distributors are designed for maximum ignition performance at a price you can afford. Our distributors ship with Ignitor II technology modules. Replace your outdated points, electronic distributor or bulky HEIs with this performance proven system. 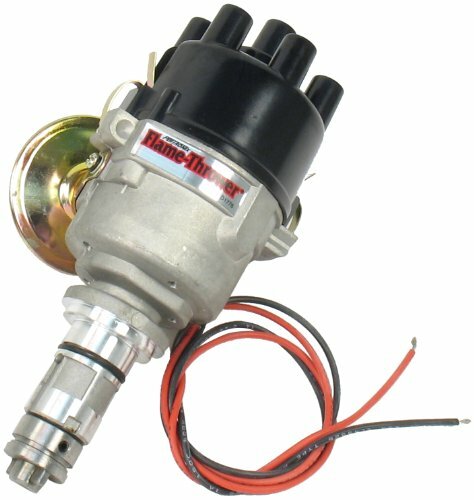 Simply install the distributor in the engine, connect two wires and start it up. 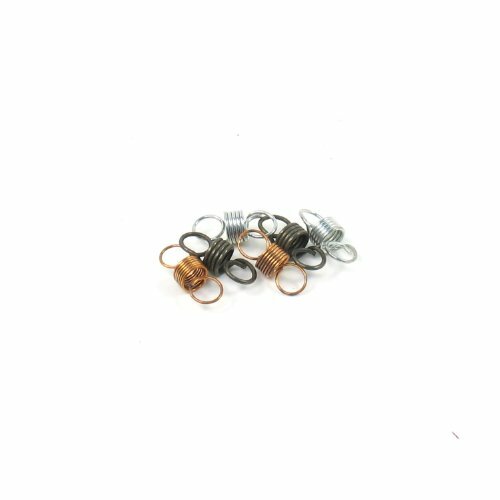 For even more performance, consider adding one of our compatible Flame-Thrower II coils for increased spark energy and higher RPM potential. The lineup includes the Flame-Thrower II canister style coils as well as our New HC and HV E-core style coils. Racers and nostalgic ford enthusiasts using the famous ford FE engine now have access to a distributor that is truly equal to the performance level of their engine. 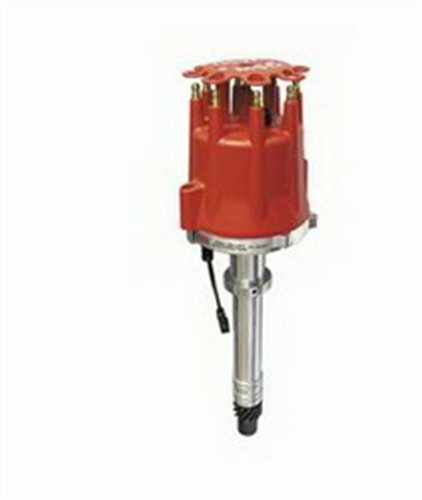 A magnetic pick-up triggers your MSD ignition control accurately at any rpm. Above this pick-up the mechanical advance assembly is positioned so it can be adjusted without disassembling the distributor. In addition, the specially ground advance cam is Tig-welded to the 9/16 inch Hardened shaft and the weight pins are staked and Tig-welded to the advance plate. Choose TSP for popular OEM replacement distributors and save big time! Our OEM Replacement distributors are built from high quality materials in order to exceed OEM standards. For ford enthusiasts that are serious about performance. Just under the brass terminals of the MSD cap and rotor is an easy-to-adjust mechanical advance assembly. The assembly is fine blanked from chromoly steel, rig-welded for strength plus receives a QPQ coating. The precision weights glide on nylon bushings for smooth advancement and different springs and stop bushings are supplied so a variety of advance curves can be tuned. The steel shaft that spins the advance and reluctor receives a friction reducing coating plus is guided by a sealed ball bearing and long sintered bushing. 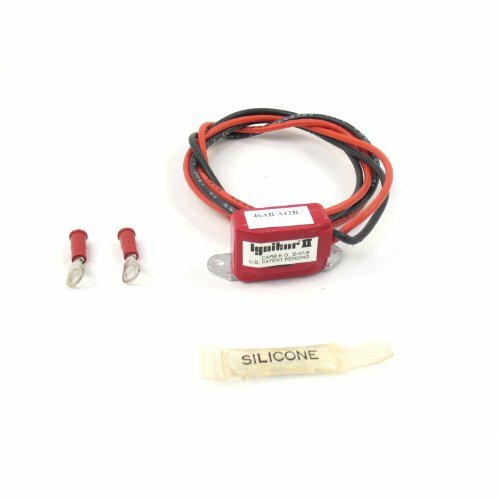 This combination provides stable timing signals and spark delivery at any rpm. Triggering chores are handled by MSD's race proven, maintenance-free magnetic pick-up. Replacement Ignitor II module for all Flame-Thrower billet distributors. 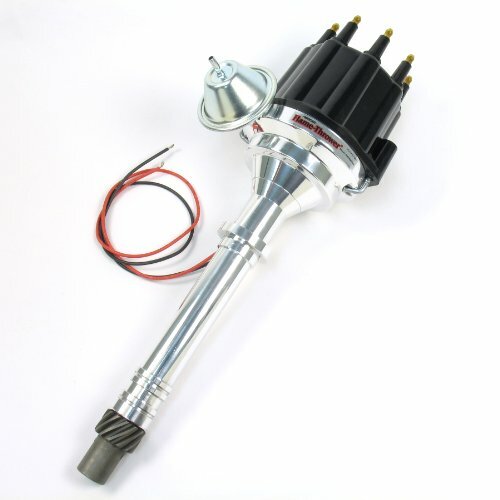 FEATURES Delivers twice the voltage to the spark plugs, increasing horsepower, fuel economy, and spark plug life. 2:1 improvement over points in current fall time for increased coil output. Epoxy molding makes our module impervious to dirt, oil, grease and moisture. Stable timing ...no need for any adjustments. Legal in all 50 states and Canada. This distributor was designed for racers and street rodder that have space limitations due to firewall interference, blowers or oversized intake manifolds such as tunnel rams. 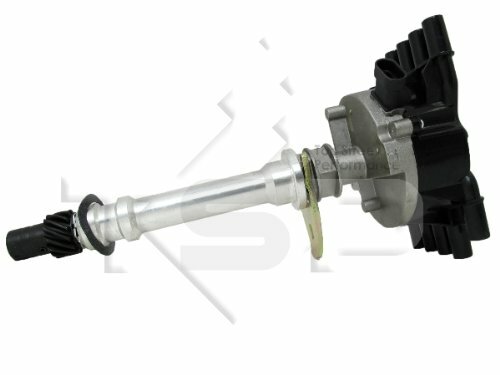 The distributor is 3/8 inch Narrower and almost 1 inch Shorter than a standard distributor. Proven performance features include a high output magnetic pick-up and precision machined reluctor for accurate ignition triggering. A fully adjustable mechanical advance allows you to tailor the advance curve to your specific application. Topping it all off is our own small diameter cap. This is molded out of durable Rynite material and comes with an optional wire retainer. Msd'S ready-to-run marine distributors are the perfect upgrade for boats that are relying on worn-out breaker points or weak ignition systems. These new distributors feature a powerful ignition module built into the billet aluminum housing. This module produces a stout inductive spark that will improve combustion of the fuel mixture for better drivability. 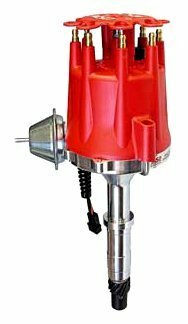 Beneath the durable bolt-down, injection-molded cap, a maintenance-free magnetic pick-up produces accurate trigger signals while an oversized shaft is guided by a sealed ball bearing. An easy-to-adjust mechanical advance allows you to custom tailor a timing curve to match your application. The ready-to-run distributors are a breeze to install. Simply drop it in the engine and connect three wires and you're ready-to-run across the lake. Supplied with a cap, rotor, gear and weather tight wiring harness. 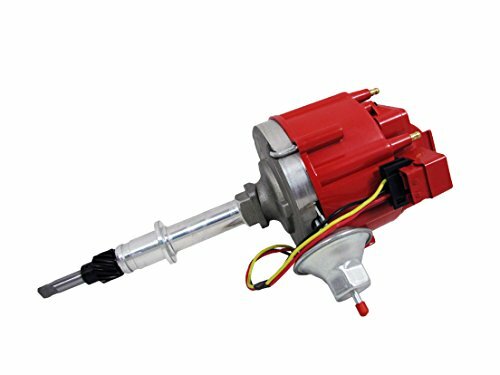 If you have a slightly taller block or have decked the heads, the distance between the distributor mounting pad and the cam gear-oil pump drive may be different. 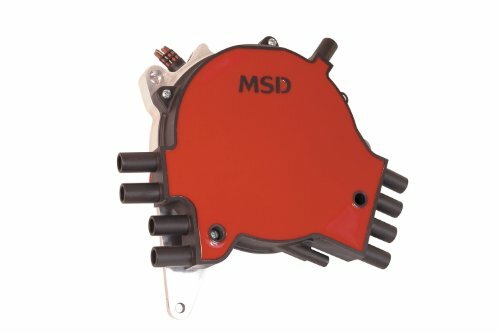 MSD offers these distributor with an adjustable slip collar with 1.5 inch Of adjustment so you can be sure the distributor is installed correctly. The distributor shares the same features of the standard pro-billet Chevrolet model including a ball bearing guide, long sintered lower bushing and an oil seal. To trigger the MSD ignition a maintenance-free magnetic pick-up is secured in the billet base of the distributor. Just above this pick-up assembly is an adjustable mechanical advance assembly. Leave it to MSD to build an all-out performance distributor to replace the OEM gm lt1 optispark. We machine an entire billet block of aluminum down into a precise housing that fits in place of the factory piece. Then, we fill it with a reliable new pick-up assembly, a trick timing adjustment mechanism and top it off with an all new MSD distributor cap. The pick-up is an advanced optical encoder, a different style of optical pickup than the OEM. This type of pick-up has proven to be very reliable and stable through extreme rpm and conditions. Once installed, you have the ability to adjust the ignition timing - the only distributor that offers timing adjust ability. An adjustment screw allows the timing to be tweaked up to +/-5 degree. The distributor is equipped with a fresh air vent and has an extra thick mounting surface for the cap to eliminate leaks. 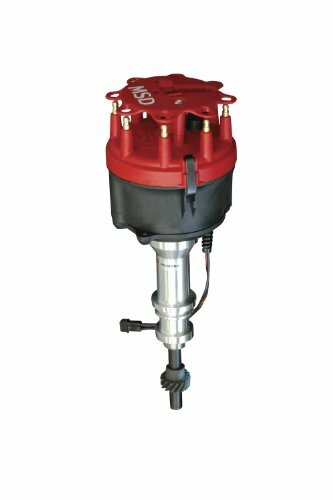 The distributor is supplied complete with our heavy duty lt1 cap, rotor and the components required for installation. There is a big following of AMC enthusiasts that are cruising a 401 equipped javelin or trail blazing in a rock crawling jeep with an inline 6-cylinder. MSD offers two pro-billet distributors to deliver accurate trigger signals and are maintenance-free. Under the brass terminal cap of each distributor is MSD's race proven magnetic pick-up. This pick-up never requires adjustment and simply plugs right into an MSD ignition control. Just above it and under our strong race rotor is an adjustable mechanical advance assembly. The chro-moly weights of this assembly slide on nylon bushings producing smooth movement of the timing. You can easily adjust the curve to match your engine's requirements with the supplied springs and stop bushings. Each precision CNC-machined billet aluminum housing features a sealed ball-bearing and long sintered bushing for stability at any rpm and increased endurance. An oversized steel shaft receives a QPQ coating to reduce friction and prevent corrosion. The pro-billet ready-to-run distributor is the perfect upgrade for outdated points distributors or bulky HEI. 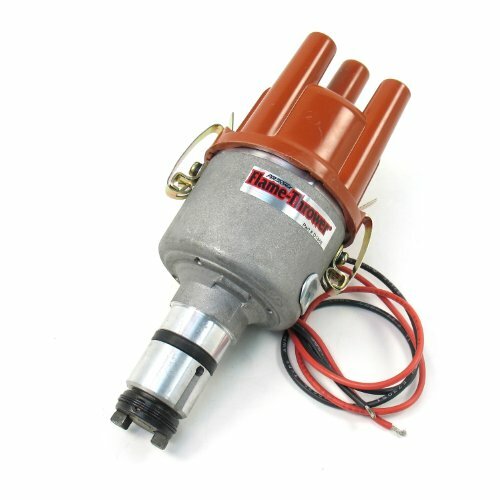 Simply install the distributor in the engine, connect three wires, the coil and fire it up. A maintenance-free magnetic pick-up accurately triggers the module. The increased output of the amplifier easily outperforms stock ignitions and will smooth out the engine's idle, improve starting and provide a much higher rpm range. The ready-to-run features MSD's adjustable mechanical advance which allows you to custom tailor an ignition curve to match your engine's needs. There is also a vacuum advance canister to help improve economy. For positive street performance, the ready-to-run is the best choice.